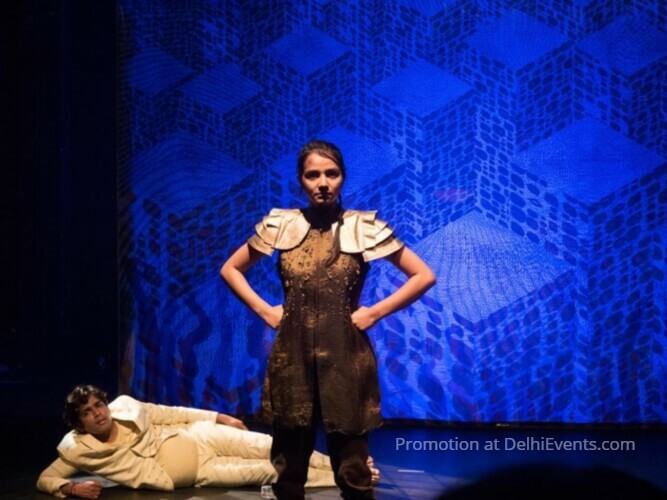 Event Description : THEATRE : Tadpole Repertory presents "Rakshas" Hindi Play. A play by the Tadpole Repertory adapted from ‘The Dragon’ by Yevgeny Schwarz. This production is supported by the India Foundation for the Arts, under the Arts Practice Programme. In a faraway land, under a grey mountain at the edge of a forest near a lake, there lives a town full of people. For hundreds of years, this town has been ruled by a monster - a rakshas. One day, a young hero named Veera arrives at the town, and takes it upon herself to free the townspeople. With the odds stacked against her, Veera prepares to battle the rakshas and rescue the town, whether they like it or not. On her journey, she meets new and interesting people, finds fantastical magical items, and even falls in love. But will it be enough to save the day? Rakshas brings together fantasy, comedy, romance and satire to tell a story of a people trying to decide what their freedom is worth.